Accessible language and compelling stories illustrate how RTI is most effective when built on the Professional Learning Communities at Work™ process. Written by award-winning educators from successful PLC schools, this book demonstrates how to create three tiers of interventions—from basic to intensive—to address student learning gaps. You will understand what a successful program looks like, and the many reproducible forms and activities will help your team understand how to make RTI work in your school. Develop a comprehensive understanding of the three tiers of RTI: the core program, the supplemental level, and the intensive level. Learn why RTI is most successful when built on the foundation of a PLC. Discover the role of behavioral interventions and their effects. 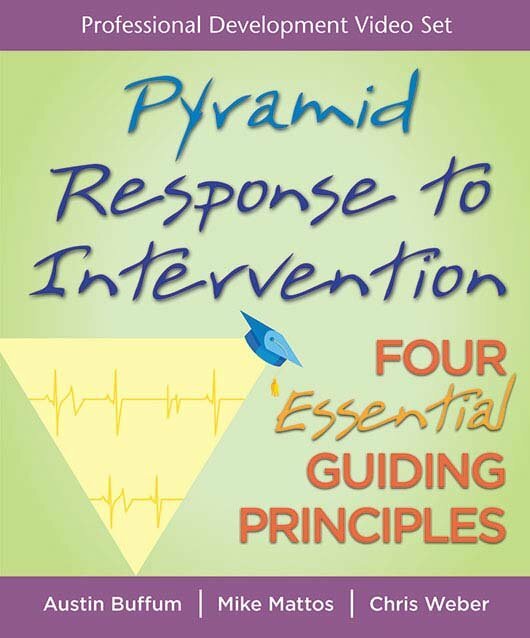 Chapter 1: What Is Pyramid Response to Intervention? How Do Our School’s Current Practices Align With the Essential Elements of RTI? How Will Our School Respond to Key RTI Questions? What Elements of RTI Are Present in the Pioneering Models? Who Are Our Under-Represented Students? What Are Our Human and Fiscal Resources? What Is Our Tier 1 Core Program? What Are Our Tier 2 Supplemental Interventions? What Are Our Tier 3 Intensive Interventions? What Are Our Behavioral Interventions? How Will We Coordinate, Document, and Communicate About Our PRTI?